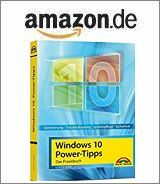 [German]On September 11, 2018 Adobe released an update for the Flash Player, which upgrades it to the version 31.0.0.108. 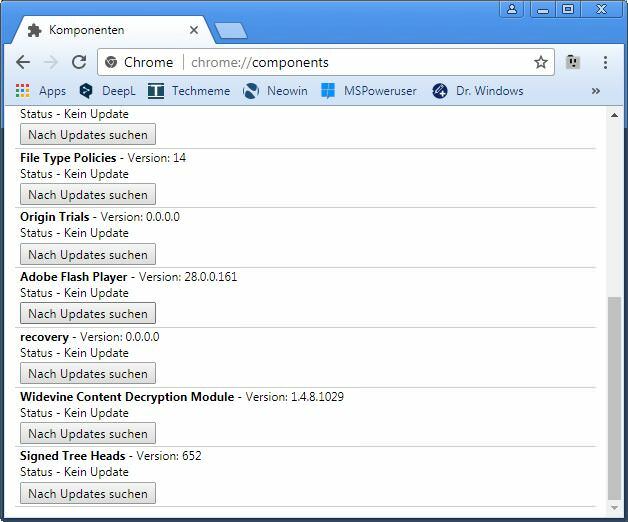 The update closes several vulnerabilities in Flash player. This new version of the Adobe Flash Player should be installed absolutely. The following Flash versions are affected. Adobe Flash Player 31.0.0.108 is available for Windows, Macintosh, Linux and Chrome OS platforms (download links can be found on this Adobe page). For Windows 8.1 and Windows 10, Microsoft provides the new Flash Player via Windows Update. Neowin.net has several download links within this article. Chrome Browser browser should automatically install the update. You can also check for updates manually by typing chrome://components in the browser’s address bar. Which Flash Player version is installed? The installed Flash version can be checked on this page, but note, that Flash is deactivated by default in most browsers. 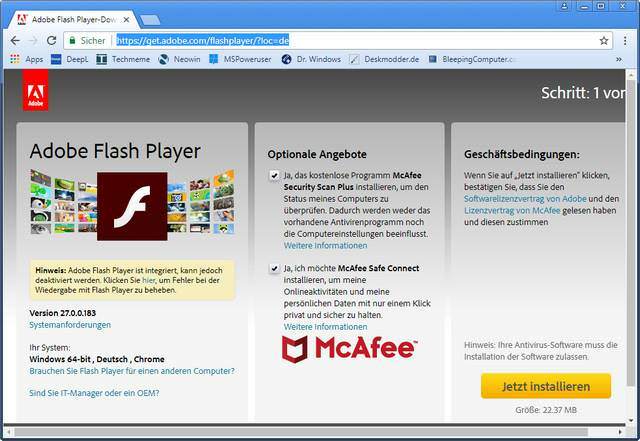 If you upgrade Flash Player from this Adobe website, make sure you do not install the optional offerings (McAfee Security Scan Plus and True Key from Intel). This entry was posted in Security, Update and tagged Flash, Security, Update. Bookmark the permalink.